Tired of pills, patches and potions? Our physician prescribed solutions have helped thousands of women just like you. You have probably heard a lot about Bioidentical Hormone Replacement (BHRT) on TV talk shows like Oprah, Dr. Oz., The Doctors, and Dr. Phil, or in books by Suzanne Somers. But what exactly are Bioidentical Hormones? According to the Mayo Clinic, "The term 'bioidentical' means that the hormones in the product are chemically identical to those your body produces." 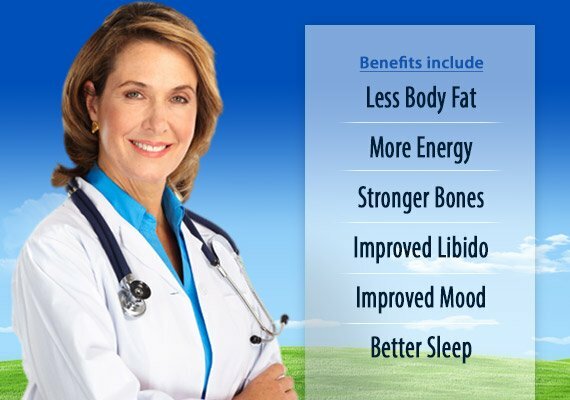 So Who Needs Bioidentical Hormone Replacement? More than ever before, people are determined to stay young and enjoy a more active lifestyle. But many of us find ourselves dealing with health issues that can greatly diminish their quality of life. If you’re over age 40 (and maybe even younger) you may be starting to experience the symptoms of hormone deficiency. As we age, our hormone levels begin to decline and continue to decrease the older we get. This hormonal imbalance can result in a variety of undesirable symptoms. In order to restore your hormones to their optimal levels, you need to be evaluated by a hormone replacement specialist. This includes a current medical history, comprehensive lab work, and a complete evaluation conducted by a skilled physician from our national network of hormone therapy specialists. With this information in hand, our physicians will create a therapy program custom-designed to address your specific needs. As a recognized leader in the field of Hormone Optimization, Andrologix Health and Wellness has over 18 years’ experience providing safe and effective therapy programs that have helped thousands of women just like you. So why live another day suffering the symptoms of hormone imbalance when you can do something about it? Restoring hormones to optimal levels with Bioidentical Hormone Replacement (BHRT) has been shown to be effective in achieving and maintaining a more vibrant, youthful lifestyle; a lifestyle that promotes optimal health, vitality, and longevity.